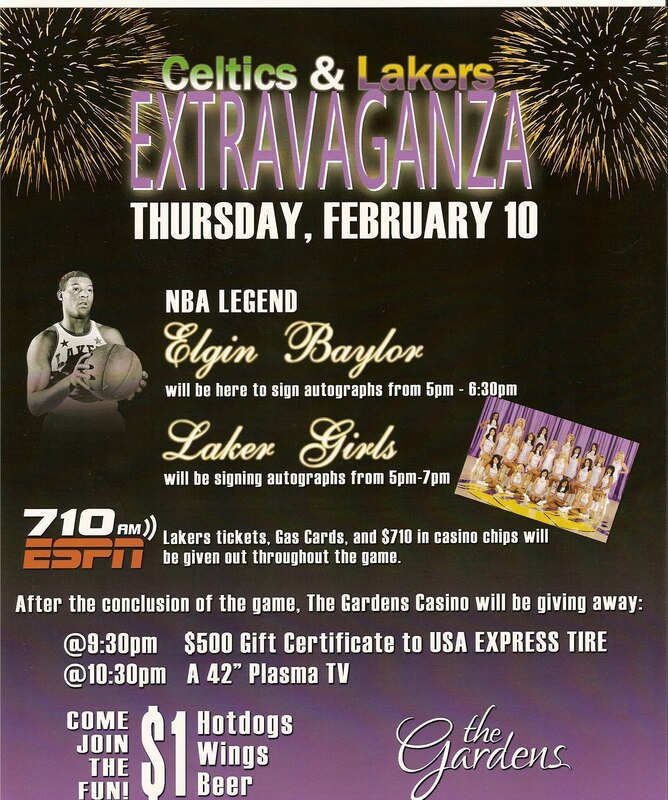 Laker Legend Elgin Baylor made an appearance at Hawaiian Gardens Casino to sign autographs. I had missed all of his previous appearances in the past and finally made it to one. It was a good birthday present. The only problem with this signing taking place on my birthday is that I missed my small birthday party. I arrived home at almost 10:00 pm. I ended up driving about 300 miles over the last two days for James Worthy and Elgin Baylor appearances. It was well worth it though. People in line? I would guess 60-80 people. 42" Plasma TV and a bunch of other stuff. Elgin inscribed "HOF 1977" on all of the items without having to ask him. A really good man! Fans got to watch the Celtics & Lakers game during the autograph session. 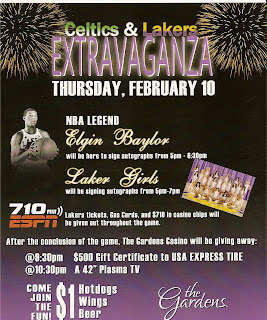 Thanks to Hawaiian Gardens Casino, ESPN Radio and Laker great Elgin Baylor for this appearance.